Why send jellyfish to space? Well, because it’s awesome which is true of anything involving space. But mostly because of little crystals that they keep in their bodies, and what these crystals can tell us about long-term human space travel. When a jellyfish grows, it forms calcium sulfate crystals at the margin of its body (termed a bell). These crystals are surrounded by a little cell pocket, coated in specialised hairs, which are equally spaced around the bell. When jellyfish turn, the crystals roll down with gravity to the bottom of the pocket, moving the cell hairs, which in turn send signals to nerve cells. 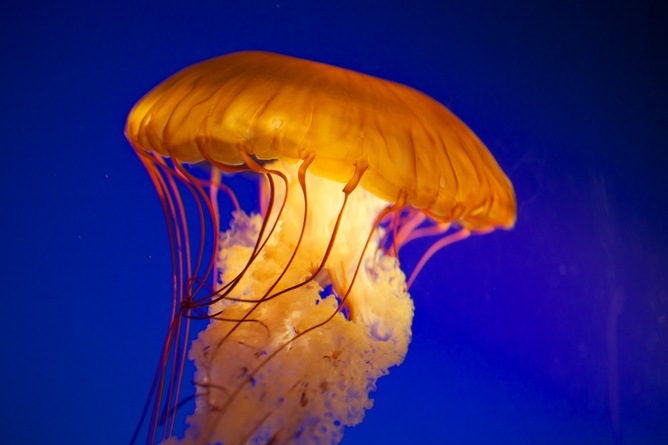 In this way, jellyfish are able to sense their way up and down. All they need for this to happen is gravity. Humans have gravity sensing structures too, and therein lies the crux: in space with no gravity, will these structures grow normally? If humans ever want to colonise places in deep space, then we may need to have kids in zero gravity. Will these kids develop normal gravity sensing, even after growing up without it? For jellyfish, at least, things aren’t so good. After developing in space, these astronaut jellyfish have a hard life back on Earth. 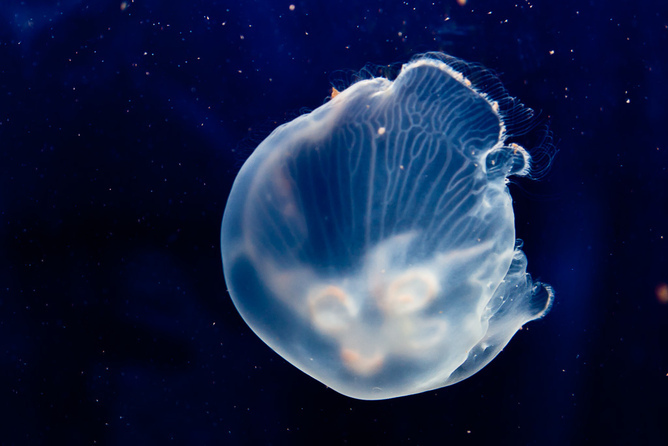 While development of the sensory pockets appears normal, many more jellies had trouble getting around once on the planet, including pulsing and movement abnormalities, compared to their Earth-bound counterparts. Human gravity sensing isn’t exactly like that of jellyfish, but it’s close. The human inner ear contains both fluids and small crystals, which tell us not only the angle of our head, but also our forward momentum. Even with these differences, there is enough similarity between the two systems to be cause for concern. In other words, if jellyfish babies have trouble gravity sensing on Earth after being in space, human babies may be in trouble too. Human births in space could mean a lifetime of Earthly confusion. Long term space travel will be fraught with developmental challenges to the babies growing onboard. If the jellyfish say growing up in space isn’t so great, we better be listening.